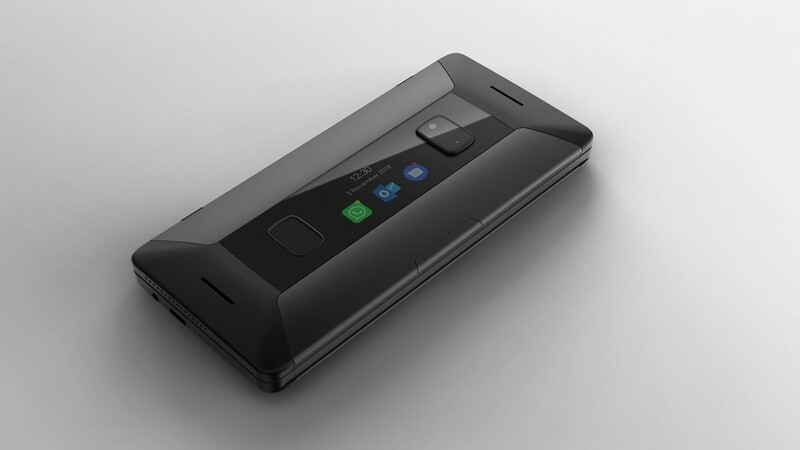 You’d be forgiven if you hadn’t heard of Planet Computers, given that the company has only released one Android device to date – the Gemini. 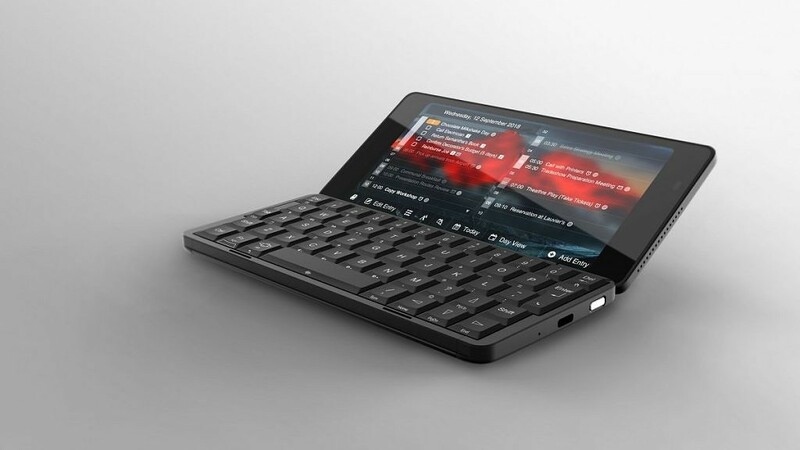 It wasn’t your typical Android smartphone though, instead, it was a Personal Digital Assistant or a “PDA.” PDAs from the likes of Apple and Microsoft were once predicted to take over market share from the commercial desktop market, but that didn’t go quite as planned. 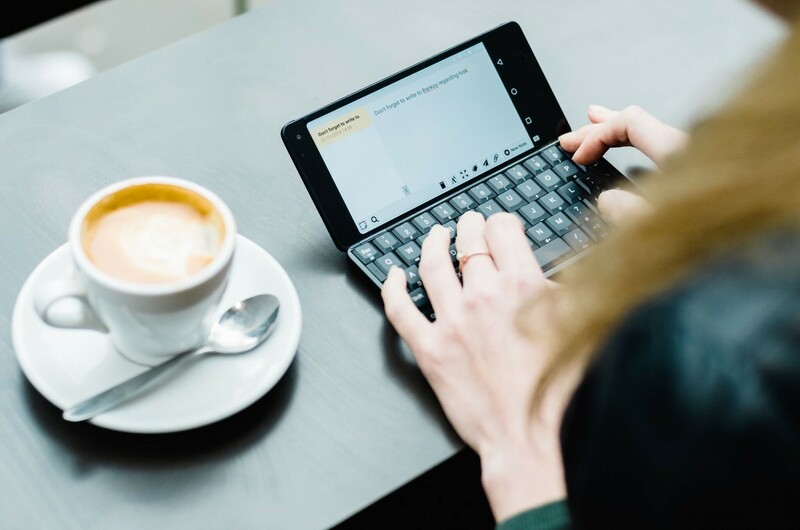 Even still, there’s certainly a place for them in the world, and Planet Computers has been showing off the Cosmo Communicator at CES 2019, a clamshell PDA that can run Android Pie and dual-boot different distributions of Linux. It’s the successor to the Gemini, but it’s more or less an entirely different device. Without getting into any of the cool software wizardries on board the Cosmo Communicator, its two displays are something to marvel at. The outside display of this device is a 2-inch AMOLED display, which provides information at a glance. Its primary function is to take phone calls and see your notifications, but it can also show the time and date as well. While the Cosmo Communicator doesn’t feature an ambient display or notification LED, its external display is more than a suitable compromise. The internal display is what you’ll be looking at most of the time though, and is your standard run of the mill display. It’s a 5.99-inch, 2160×1080 touchscreen LCD panel. This is where you’ll be doing the majority of your work, and it’ll perpetually be in landscape mode. The display, as mentioned, is a touchscreen so that you can operate it with your hands as well if you’d like. The only issue with that is that there’s no way to really hide the keyboard, so it’ll always be out. It’s not really meant to be used in the hand, rather placed on a table in front of you. That makes using it on the go a bit difficult, but it can be done if needed. A pocket computer needs a powerful enough chipset to be useful, and that’s where the MediaTek Helio P70 comes in. MediaTek chipsets are certainly not revered for their performance, but the P70 is no slouch and helps to keep costs low. MediaTek backed out of the flagship market long ago as they couldn’t compete, but the Helio P70 sits comfortably with Qualcomm’s mid-range chipsets such as the Qualcomm Snapdragon 660. That’s not to say that the Cosmo Communicator will suffer from a lack of developer support thanks to its SoC either. Planet Computers has assured us that they will be remaining developer friendly. With the Gemini, they had not only released kernel sources (as they are obliged to), but they had open sourced their bootloader as well. XDA Recognized Developer deadman96385 is also in contact with the company in order to bring TWRP and LineageOS support to the device. Planet Computers are pushing the openness of the Cosmo Communicator as a selling point, as you can install Sailfish OS and Debian for ARM right out of the box. On top of that, the Cosmo Communicator has 6GB of RAM, 128GB of storage, and microSD card support. 6GB of RAM is certainly enough to run pretty much any Linux-based operating system, and you won’t be stuck for storage at all given that you can insert a microSD card as well. The Cosmo Communicator is primarily a business device, so it’s obvious that the camera is not a primary focus. The primary external camera is a 25MP shooter, though we don’t have any specific details about it. The internal camera is a 5MP shooter, likely to be the kind that you’d use for video calls and such. Given that we don’t have any specifics about the camera yet, I think it’s pretty clear that Planet Computers doesn’t deem the camera to be an essential part of the device. It’s there and it works, so that’s about all you need. If it works well, then that’s just a bonus. A mini computer in your pocket needs a lot of power, and the Cosmo Communicator aims to provide that. It features a 4,220mAh battery, likely more than enough for a few hours of straight usage. There’s no word of any fast-charging just yet, but this device has two USB-C ports. Maybe both will be used for charging? It’s all up in the air at the moment, but one thing is for certain – the battery is big enough. Using full-blown operating systems based on Linux might end up using a little bit more power than just Android, but it shouldn’t drain that much more. The biggest issue with smaller companies tends to be software support, so it’s fair to be concerned. The Gemini launched with Android 7.1 Nougat, and the company has assured us that very soon Android 8.1 Oreo will be rolling out. They actively supported development for it as well, with LineageOS and TWRP getting ported to it. If the Gemini is anything to go off of, the Cosmo Communicator should be fine. You can dual-boot another operating system alongside Android Pie if needed as well if you’re really worried about not getting updates. 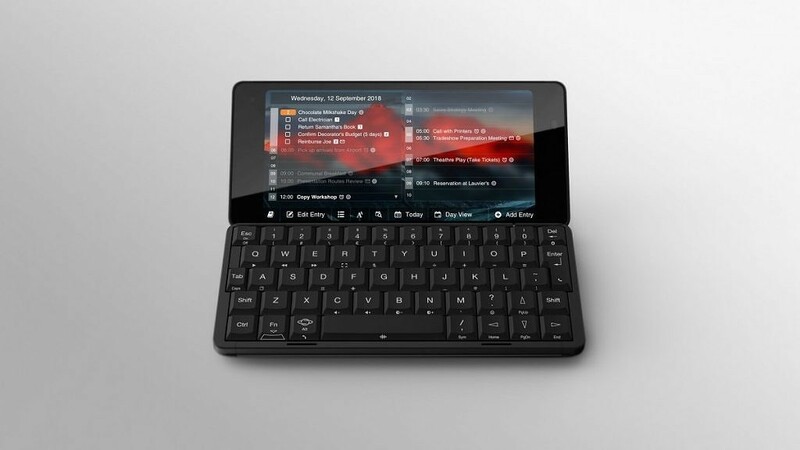 It runs Sailfish OS and Debian for ARM out of the box, with the company aiming to bring Ubuntu Touch to it as well in the future. Kali Linux was also recently ported to the Gemini. The Cosmo Communicator isn’t just a smartphone that supports dual booting, it has a few extra tricks up its sleeve as well. For a start, the keyboard is backlit so that you can type in the dark without issue. It’s a must-have feature for anybody who may be typing in a dark space, as it can often be hard to see the keys otherwise – especially on such a small keyboard where you may need to look at it a lot more than you usually would on a computer. 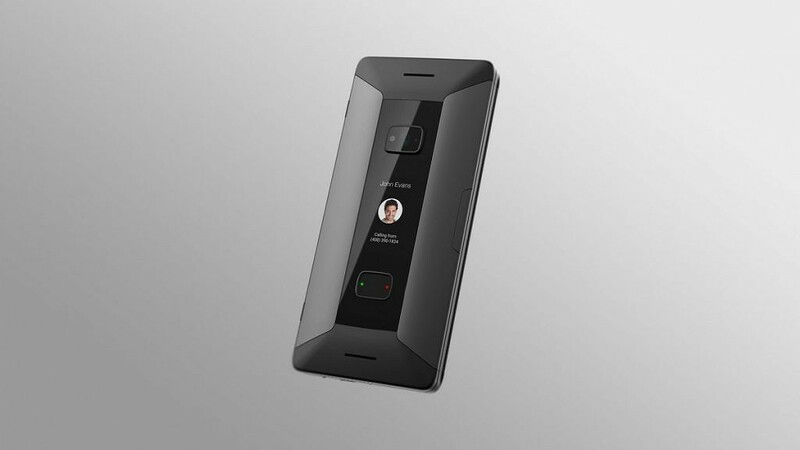 Along with having support for two nano-SIM cards, the Cosmo Communicator also supports eSIM. That’s pretty rare at the moment, but by the time it launches there may be more devices that support the standard. The Google Pixels support it, along with iPhones, and that’s about it for now. Finally, the fingerprint sensor on the exterior is also a button. Depending on the context, it can turn your volume up or down, answer phone calls, etc. It’s a neat feature that helps make the most of all of the surface area on the device. The company has said that the Cosmo Communicator will launch in the US costing $799 from June 2019. It’ll be purchasable online, and you can pre-order it from their IndieGoGo now.